Tarek Chemaly: Bachir/Nadim Gemayel - the exceptional advertising tandem! 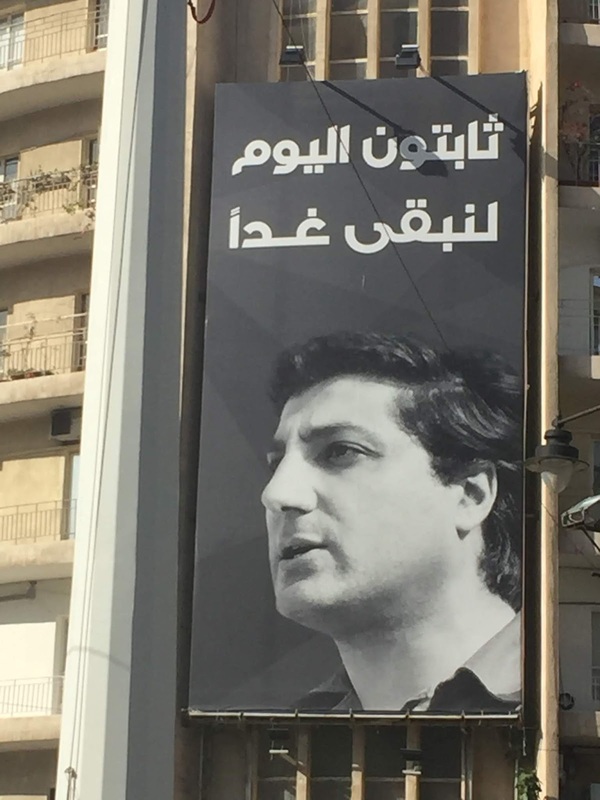 Bachir/Nadim Gemayel - the exceptional advertising tandem! And then some days, you are in awe. 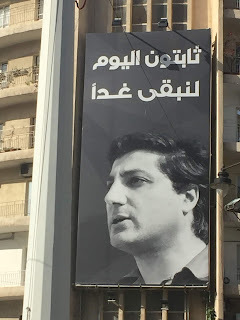 Sassine Square has always been the place to put ads for slain president elect Bachir Gemayel. His son, Nadim, currently MP and who ran under Kataeb (whereas his father created the Lebanese Forces as a spinoff) the slogan "steadfast/unchanging today and tomorrow". So I was in almost physical shock to see his father's ad reading "steadfast/unchanging today to remain tomorrow" (the "remain" bit is directed to the Christian base). Being someone economical with praise this one takes the mantle! Hats off! I am truly in awe here for whom came up with this. Do note my ad appreciation is always seperate from my political ideas (or lack of them) but credit is due where credit is due.